The King and Queen of Pyu decided to let their only son and heir to the throne, Prince Shendanaw lead the orchestra and dance troupe to leave Pyu to go to Chang’an offer music in the attempt to cement a peaceful relationship and also gain support with the Tang Dynasty. Pyu’s ambitious great General Karana eyeing the throne sents his black knights and the black knights captain Aman to assassinate Prince Shendanaw, along the road. But he did not know, that Prince Shendanaw did not follow the troupe leaving the capital city, but stayed behind in Pyu a few companions for his trip – The first being a former Ranger from Tang, Xiayun Xian and a top female thief, Yeshaluo , and Pyu’s top dancer, Lanma Shandi. Captain Aman leading the black knights, catches up with the Pyu dance troupe, but to his unpleasant surprise the dance troupe was led by the one and only adopted son of the great general Karana, Sujue. Meanwhile, in the capital city of Pyu, Prince Shendanaw planned to meet up with an old guide who was to bring them to their destination using the lost legendary Silk Road , hoping to escape from General Karana’s black knights. But unfortunately for them, they found the guide dead, someone had killed the old man. A girl burst into the compound, claiming to be the guide’s grand daughter and accused them of harming her grandfather. After some argument and explanation, the girl decides she wanted to tag along, and says she knows the road as well. General Karana suspects that the prince could still be in the capital city from some reports, and so the General sent his men to do a through search of the city. In the ruckus, the dancer, Lanma Shandi accidentally got caught and brought to the General. When questioned by the General, she claimed that she was waiting for his son Sujue. He then send her to the main post and demanded his son appear or he would hurt her or kill her. Xiayun Xian rescued Lanma Shandi in the capital city, dressed in the Black Knights uniform, was stopped by Captain Aman on his way back to the capital city to make his report, Xiayun Xian looked calm and pretended to be a new recruit of the black knights. Captain Aman interrogated him and saw no cause to disbelieve him and let them go on their way. Their journey then started and they left the capital city to go to a small village where Xiayun Xian deceased wife was buried in one of the stupas there in this quiet little village. Yeshaluo, being a thief and money minded could not believe or comprehend how people could live with such simplicity and held one of the villagers hostage as she demanded the villagers bring her everything of value to them to her. When they did, she stared in disbelief as the villagers brought her their vegetables, poultry and so on to redeem their fellow villager. Finally, she let them go. Around the same time the King of Pyu sent some imperial guards under the pretense of getting a gift for the Queen’s coming birthday to protect Prince Shendanaw . However, Captain Aman leading the black knights found Prince Shendanaw’s trail and came to ambush the Prince and his group. Aman surrounded the village and threatened the Prince while the Imperial guards protected the Prince and all died being shot with arrows from Aman’s black knights while protecting the Prince and enabling him to escape. Xiayun Xian was force to break his wife’s tomb to retrieve his legendary sword and courageously blocked the black knights. Yeshaluo dragged the prince away, while Lanma Shandi and Ling Er’s help Xiayun Xian. They manage to escaped into the jungle and with Lanma Shandi’s knowledge, escaped some toxic gas. Feeling uneasy, Prince Shendanaw went back into the jungle despite Yeshaluo’s admonishment to rescue Lanma Shandi, however Lanma Shandi has manage reach the Prince, and seeing him, unconscious, and full of toxic fumes herself, she too, fainted. Yeshaluo then went into the jungle to look for the Prince and found them. She then dragged both of them out. Lanma Shandi regained consciousness a little just to tell Yeshaluo and Ling Er that they needed some herbs for detoxification. In the little abandoned house where they temporary seek shelter, Ling Er goes off to find the herb when Captain Aman appeared, managing to save himself from the toxic jungle. He also manage to steal some of the detoxification antidote and threaten them again. Xiayun Xian suddenly appeared followed shortly by Ling Er. 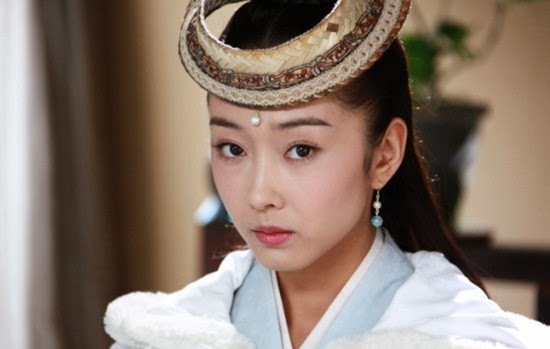 Ling Er showed her token where a little pendant was tied to it and on seeing that, Xiayun Xian suspects that she could be his long lost daughter. The little group entered the Ruili, with Captain Aman following behind secretly. Ling Er wants to check on her colleague who was suppose to meet her there in a pigeon and she was surprised to find the pigeon house empty, with all her colleagues stationed there mysteriously missing. 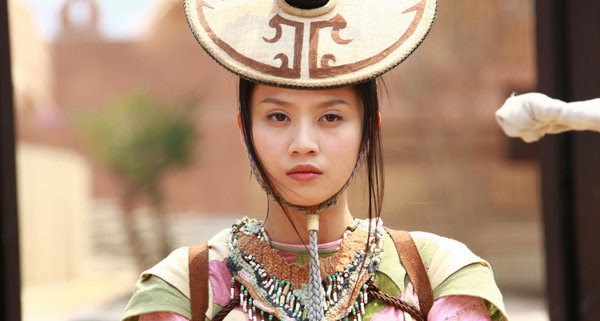 Meanwhile Prince Shendanaw finds out that in Ruili , there are two forces to be reckoned with, one which is on the outskirts of Daqing , a self proclaimed overlord known as Anping Yang and in the village, itself, a mysterious bully who calls himself King Ezhu, whom not many people know about or seen. Prince Shendanaw and Ling Er meantime found people buried after being killed in the backyard of the pigeon house. Since Ruili evil forces and the Great General Aman was in collusion, including trying to assassinate Prince Shendanaw along the way but getting annihilated instead by Sujue and his fearsome female bodyguards, Captain Aman tries to seek the help of King Ezhu to kill Prince Shendanaw . 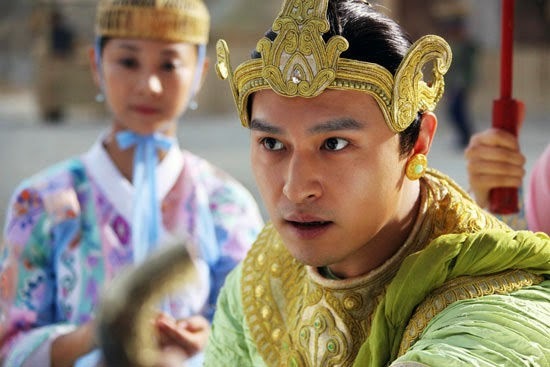 Xiayun Xian is near death because of the poison dart and unconscious, and Prince Shendanaw and Ling Er are left almost powerless, but fortunately Sujue, the son of Great General Karana, along with his two beautiful and deadly bodyguards arrived here. Lanma Shandi was challenged by Anping Yang in Daqing to dance and when she finally did, she stunned all the villagers and Anping Yang with her dancing. Anping Yang then decided he wanted to marry her, Sujue came to negotiate for her return but Anping Yang refused to let her go. At King Ezhu’s stronghold, Yeshaluo was kept in a room with a crazy woman, and she learned that all the women in the stronghold were driven crazy by King Ezhu. With a little more spy work, she also learnt the secret behind the evil king Ezhu, that he was actually a guard from Tang also. 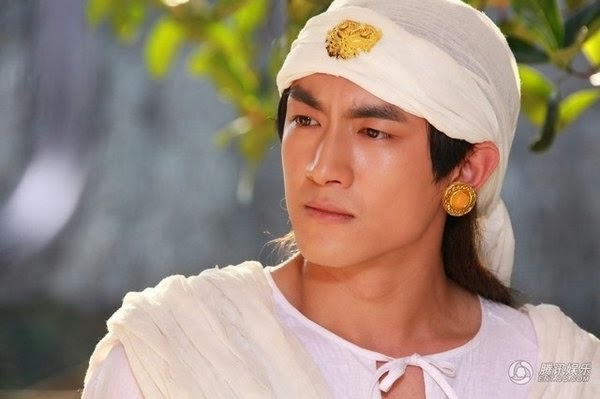 Prince Shendanaw decides to try to contact and ask the five ethnic leader for help in rescuing Xiayun Xian and through them, he learned about how the people hated the evil king Ezhu and wanted him gone. Prince Shendanaw then decided to help people find the true identity of king Ezhu. 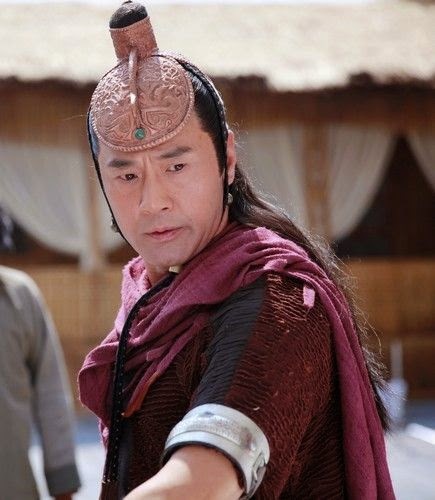 Half weaken by the poison in his system, Xiayun Xian goes to try to rescue Lanma Shandi. Anping Yang refused to let Lanma Shandi go and told her to pretend then she was willing to marry him in exchange of him giving an antidote which he have to Xiayun Xian. Lanma Shandi agreed and Anping Yang gave the antidote to Xiayun Xia. When Xiayun Xian learnt of the truth, he demanded that Lanma Shandi be released from her promised and attempted to cut his arm off in return. Anping Yang then agreed to let Lanma Shandi go. I have missed episode 11 to 17, do you know where i can watch these episodes subbed ? If there is none, would you please kindly kindly recap? ( i have to agree, despite the outfits, the storyline n plot surprisingly got me hooked!) Thanks.